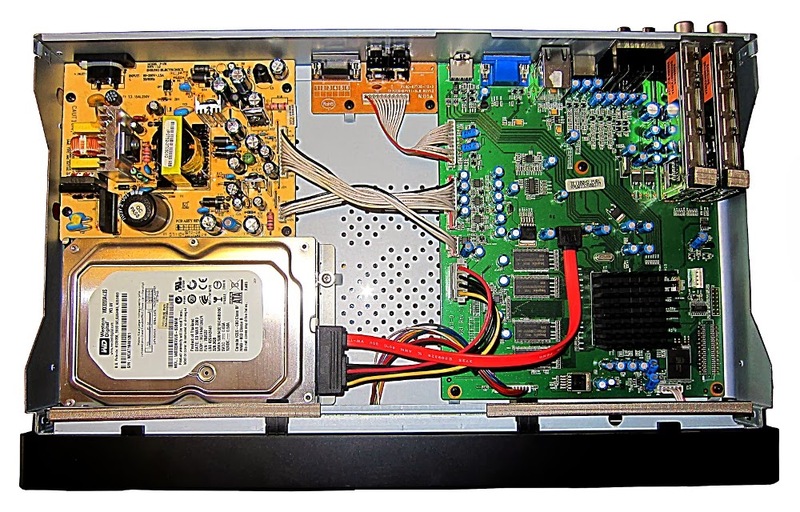 How to fix the Topfield TF7100HDPVRt – sort of. According to the internet, this Topfield model is prone to malfunctions, and my unit is no exception. Granted, it was working mostly fine for a couple of years, with only the occasional glitch stuffing up a recording or so. But lately, things started to come apart hard and fast, with symptoms ranging from random freezing or re-booting during live TV, recording, or playing back recorded programs to hanging (and freezing) during the start-up process. The same internet that assures me that these are common issues with this model also informs me that there's no reliable cure; and worse, no Topfield customer service that deserves to be called that, at least not in Australia. With my machine, it started with the occasional crash, escalated to frequent refusal to start up at all, and eventually got to the point where the machine wouldn't boot, ever, without exception. Considering that things couldn't possibly get any worse, I had the brilliant idea of "having a look at it" myself. 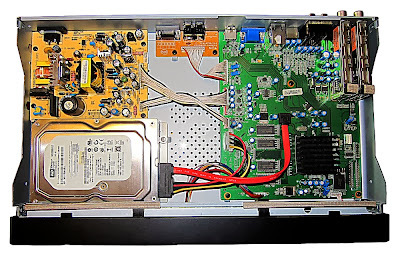 Granted, I'm hopeless with mechanical stuff (of which a PVR has none, unless you count the read/write head of the hard drive, or the control buttons on the front panel), and even worse with electronic components. But no matter; perhaps it's as simple as dust buildup interfering with the delicate interiors; after all, the casing is littered with holes (presumably to prevent the thing from overheating). 1) Remove power cord, unplug RF (aerial), HDMI cables, and anything else you might have connected. 3) Make sure there's no one else in the room with you. If you're as technically challenged as I am, you're likely to look like a tool, and there's no need for anyone to see that. 7) Switch on your best I know what I'm doing look and stare at all the components. 19) Enjoy your working Topfield recorder, record shows, and finally watch all the stuff you had recorded ages ago but haven't been able to watch yet. Yes, it's slightly more complex than Turning it off and turning it on again, but not by much. How simply opening the bloody thing, looking at it very seriously, and closing it again actually resolved the issue may forever remain a mystery, but at least for now, it seems to have worked.